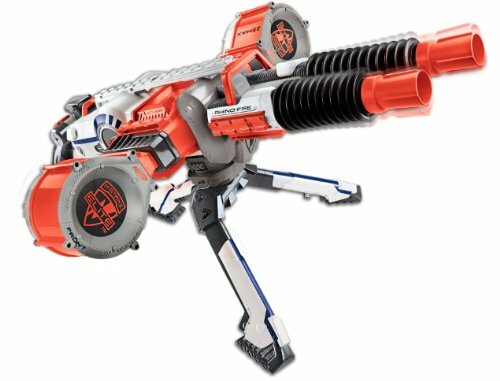 Early last week, Amazon Spain put up a listing for the N-Strike Elite Rhino. 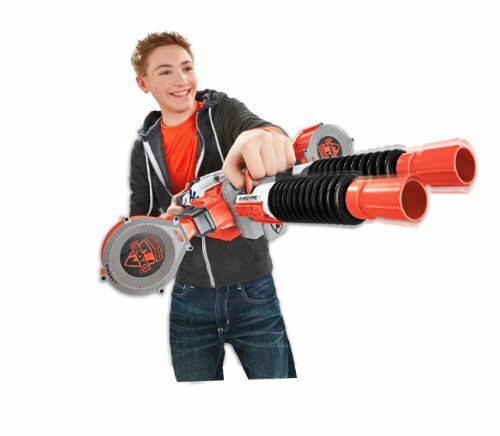 In the listing, we got details as to what the blaster was and what it will come with. And now, I have a press release info to share with you all! And most recently, a firing test of the blaster at an unknown event has surfaced. I downloaded it and reuploaded it to Youtube in case it was taken off Instagram. As we can see from the video above, it’s a flywheel blaster. The barrels seem to fire one after the other. The user’s thumb in the video seems to be on a switch or module of some sort. Maybe we can control which barrel fires the darts? While the Rhino-Fire is certainly a spiritual successor to the Vulcan EBF-25, the $99.99 (or $100) price point will make this a very expensive blaster to buy. The need for 6 D batteries increases the cost even more. 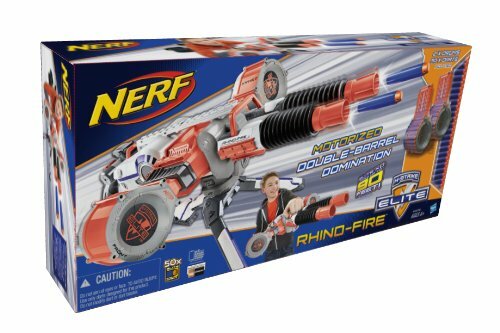 This will be the most expensive blaster Nerf has released for retail when it hits stores. Previously, it was the Stampede ECS released for $49.99. I’ll be sure and report if other countries will be selling this as well. Do you plan on getting one yourself? Is this price justified? Low Resolution Images below are from the Amazon Spain listing. The price logically seems justified, its effectively two full auto blasters. But I’m not sure if it will sell well at $100. I would get that if cheaper. My god at the price!It will be around ~~$200 here in my country!!! 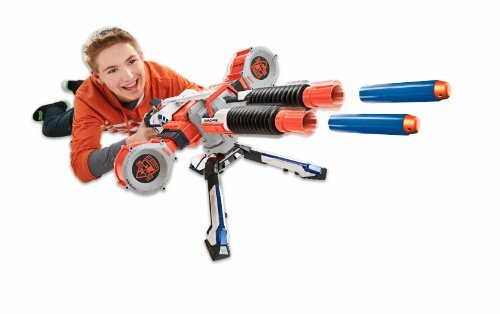 Maybe it will cheaper with time like many of Nerf’s blasters.